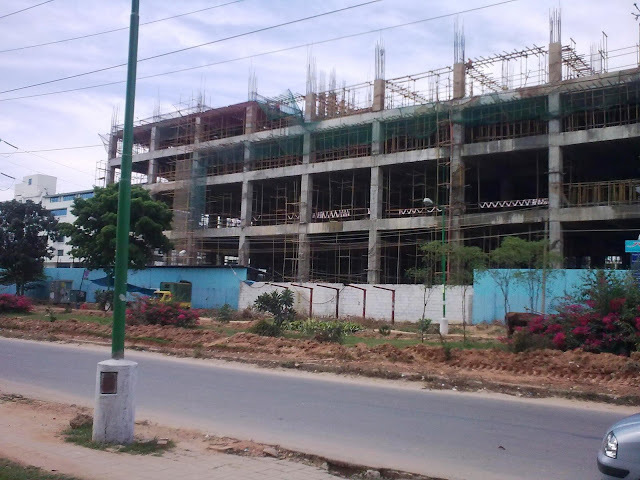 I passed by the Whitefield TTMC, which is located near the Vaidehi hospital within the EPIP Industrial zone. Construction is ongoing, in full swing. Once again, I cannot help being disappointed at the choice of location of this TTMC. This is in the middle of an Industrial zone. All the residential areas are well removed from here. ITPL itself, the great source of traffic is well beyond an easy walking distance. So who is going to park and ride from here? Who will use all the extra office space built in there? I have placed a map as well as album link below. Thanks for the report Sanjay, but don't we wish a TTMC like thing at either ends of Whitefield? Here, at a key interchange point, plus entry to Whitefield area. 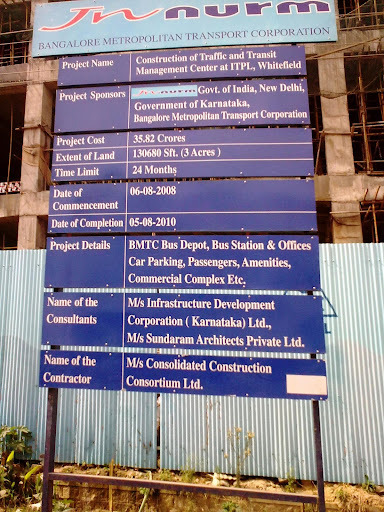 Can be done right on top of old Airport Road spanning across and over Outer Ring Road and some land BMTC has there. Or here, a potential transport hub, with Railway station next door. TTMC in other areas of Whitefield "zone"
Absolutely, I think the Kadugodi bus stand could have been a good TTMC location, especially if integrated with a commuter rail plan. There is a railway station nearby also.I don't see what the TTMCs currently add to this from a bus user point of view beyond maybe some additional shelter at times of rain and additional parking. This also would have been a good place to terminate the stage coaches that come into the city and wreak havoc with their indisciplined driving and stopping. BTW, I completely agree with you that the Marathalli area is a HUGE transit center and needs a well planned bus station / TTMC. There are also a few buses that terminate at this area and they are simply parked by the side of the road. The poor crew can sometimes be seen trying to find some decent refreshments and a place to relieve themselves. Forget passenger comfort, the employees have even less basic facilities. BTW, there seems to be no way for me to edit my post above... I want to correct the Whitefield spelling at couple of places. This is exactly what I wanted to say. A hub has to be more than just one mode of transport converging to enable people to change over without leaving the complex. Otherwise it is a glorified parking lot. Another example of TTMC being a parking lot is in Yeswantpur. It is being built away from the Railway station with no Direct connection to the SWR platforms. Are these bus bays or shopping malls? Is Govt trying to build swanky shopping malls in the name of public transport hubs? Is this just a source of income to KSRTC/BMTC, free land money from JNNURM Can we file an RTI to find out the research behind the TTMCs? 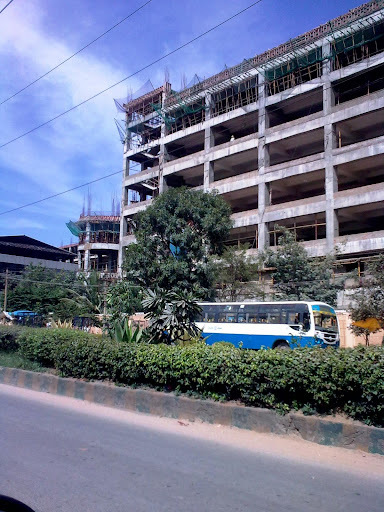 It is understandable that TTMCs are being built on BMTC land / depot locations. Also, that the proposals were sent for JnNURM funds and sanctioned. SWR and BMTC / state govt. wrangling over common transit center issues (land, funding, revenue sharing et al) probably cannot get the them built in good time. BUT, once the metro was announced what prevented the integration of metro and BMTC (both in state govt. 's control)? That was my whole grouse from the beginning - why provide shuttles to and from metro stations than housing metro station and BMTC TTMC in the same multi-storied building? Had sent the same question to a few praja in the first mobilicity but did not hear back. Whoever is dealing with BMTC (bus day) could bring this up right away so that BMTC and metro integrate from metro phase II with medium-term plans to integrate with SWR / commuter rail. Shouldn't be hard to explain to center / JnNURM admins the need for relocation. Too late to include in metro phase I as all the stations have probably been bid for and to change things would mean additional cost. Ditto (to a smaller extent) with changing TTMCs that are already bid. Back to the (same) old proposal of having an overarching transportation authority (under city council of BMR) that would deal with integration and connectivity issues of all modes of land (trains, metro, mono, HSRL, BMTC, KSRTC, taxis, autos etc. ), air (airport connectivity, helicopter services) and water (lake recreational activities, boats, etc.) transportation. The current transport authority can be expanded or subsumed.